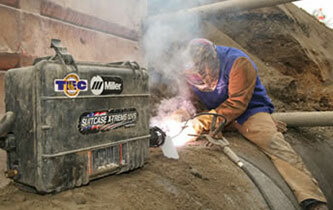 Cross Country Pipeline Supply is your welding supply headquarters. We stock torches, tips, welding machines, welding cable and sticks, eye protection and helmets, and much more. Our line includes products from top brands such as Victor, Jackson, Tweco, Miller, and Lincoln. Call our today at 303-361-6797 with your requirements.